miniOrange provides a ready to use solution for AWS AppStream. This solution ensures that you are ready to roll out secure access to AWS AppStream to your employees within minutes. miniOrange provides secure access to AWS AppStream for enterprises and full control over access of AWS applications. Single Sign On (SSO) into your AWS AppStream account with one set of login credentials. 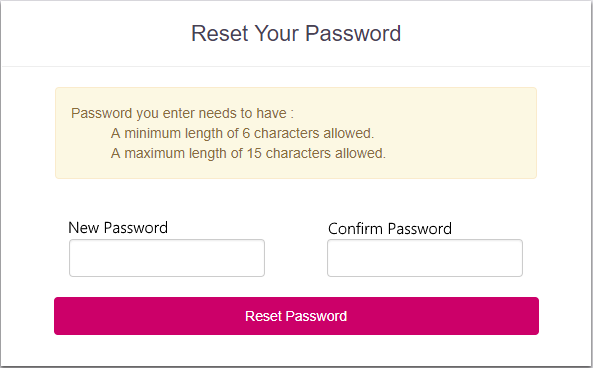 Secure your AWS AppStream app from password thefts using multi factor authentication methods with 15+ authentication types provided by miniOrange. Our multi factor authentication methods prevent unauthorized users from accessing information and resources having password alone as authentication factor. Enabling second factor authentication for AWS AppStream protects you against password thefts. Click on SAML tab. Select AWS AppStream App. Get the SP Entity ID or Issuer from the metadata (https://signin.aws.amazon.com/static/saml-metadata.xml). You will find the value in the first line against entityID. It is set to urn:amazon:webservices but may vary for non-US regions. Make sure the ACS URL is: https://signin.aws.amazon.com/saml . This might vary for non-US regions in which case you would find it in metadata ( https://signin.aws.amazon.com/static/saml-metadata.xml) as Location attribute of AssertionConsumerService. Now enter the AWS AppStream in the Policy Name field. Click on Save button to configure AWS AppStream. Once the App is added, click on the Metadata link, download metadata file and keep with you which you will require later. Login to your Amazon Web Services (AWS) Console as an admin. Click on Services Tab. Under Security, Identity, & Compliances, click on IAM (Identity and Access Management). From the left-hand side list, click on Identity Providers and then click on Create Provider button in the right section. In the Configure Provider, select SAML as Provider type from the drop-down list. Enter any Provider Name (e.g miniOrange). Click on Choose File button and choose a metadata file that you have already downloaded in Step 1, then click on Next Step. In the next screen, you will be shown your entered provider information. Verify it and click on the Create button. The SAML Provider is created and it should be listed in the Provider table. Now click on Roles from the left-hand side list and then click on Create role button. In the Create Role section, click on SAML 2.0 federation tab. Under Choose SAML 2.0 Provider, select the SAML Provider that you have created previously i.e miniOrange. After that, choose Allow programmatic access only radio option. Select SAML:aud option from the Attribute drop-down list. Enter the value as https://signin.aws.amazon.com/saml. Then, click on Next: Permissions button. Check the Policy Name AmazonEC2ReadOnlyAccess and click on Next: Tags button. Then, skip Step Add Tags (Optional) by clicking on Next:Preview button. In the next step, enter Role name and click on Create Role button. Click on your created role name. In the Summary section, click on the Trusted relationship tab and copy Role ARN and Trusted Entities value. Login to the miniOrange Admin Console. Then, Navigate to Apps >> Manage Apps. Configure the application that you have added. Scroll down to the Attributes section, enter the value https://aws.amazon.com/SAML/Attributes/RoleSessionName in the Attribute Name field and select E-Mail Address from the Attribute Value list. Click on the '+' icon besides Add Attributes to add another set of attributes and enter the value https://aws.amazon.com/SAML/Attributes/Role in the Attribute Name field, select Custom Attribute Value from the Attribute Value list and in the Custom Attribute Value, enter comma separated value that created in step 3 e.g. [arn:aws:iam::656620318436:role/SSORole,arn:aws:iam::656620318436:saml-provider/miniOrange]. If you have configured more than one role, you can enter additional attributes for them. 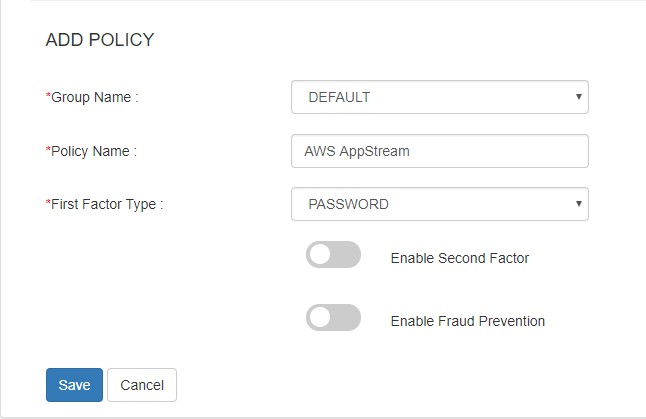 Click on AWS AppStream application which you added, to verify your SSO configuration.